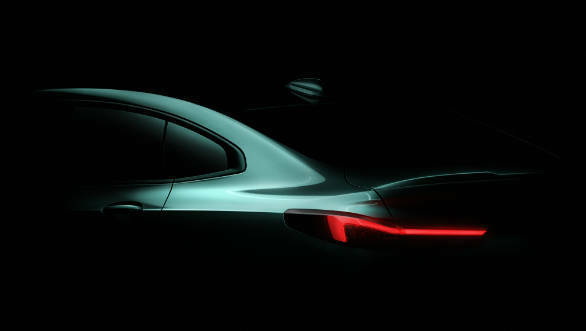 BMW has released a single teaser image of what will be its new entry-level four-door car, the 2020 BMW 2 Series Gran Coupe. The four door coupe will debut at the Los Angeles Auto Show in November 2019, with the worldwide market launch beginning in the spring of 2020. The teaser only shows the four-door coupe's sloping roofline and a strikingly truncated boot. The LED tail lamp clusters are wide two-part units much like the ones on the new 3 Series, but sleeker and more flowing. Another unique touch seems to be the split bootlid mounted spoiler, which seems to make the rear all the more purposeful. 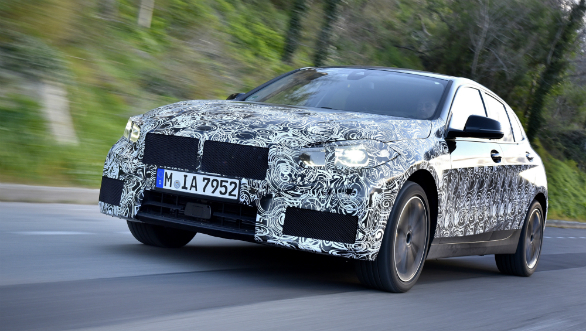 Expect the front-end stylng to be quite similar to the upcoming 1 Series. So expect an upright grille and the large petal-like headlamps. The interiors should also mimic the latest seen in larger BMWs like the full-digital instrument cluster, the latest iDrive infotainment with gesture control and an overall more angular design theme. Mechanically, the 2 Series Gran Coupe will be based on BMW's front-wheel drive architecture, and will share much tech with the new BMW 1 Series. Engine options will most likely be the 2.0-litre diesel engine from the 318d which makes 150PS. The headlining motor will be shared with the new 1 Series, a new 2.0-litre turbo petrol with 310PS. Also debuting will be the ARB technology that was first used in the i3 EV. This is a slip control system positioned directly in the engine control unit instead of in the control unit for the stability control. This is much more responsive in controlling understeer than a traditional system. The 2 series Gran Coupe will compete with the likes of the new Mercedes-Benz CLA. The Mercedes has seen massive success ever since its last gen car and BMW's response should be a viable alternative too. We expect the new four-door coupe to have a nice balance of involvement and luxury, much like the larger four-door models in the line-up. Given the success of these entry-level luxury cars from Mercedes and Audi in India, the 2 Series is almost a certainty for our markets. Expect it to debut here by late 2020.